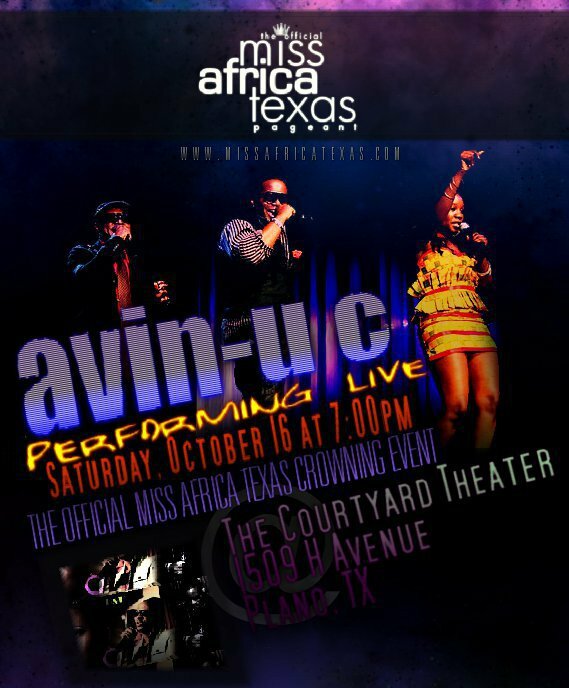 AVIN-U C‘s Eddy B and H-Bolo shall be performing at the Crowning Ceremony of Miss Africa Texas on Saturday, the 16th of October 2010 at The Courtyard Theater, 1509, H Avenue , Texas. They shall be lighting up the stage with their brand nu single ” Hold yuh” from their upcoming album. Be there at 7 pm. Hey ! where is Naomi ?